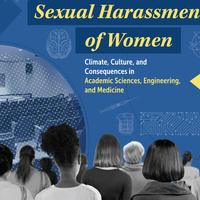 Earlier this year, the National Academies of Sciences, Engineering, and Medicine (NASEM) released a consensus study report on the issue of sexual harassment of women entitled, "Sexual Harassment of Women: Climate, Culture, and Consequences in Academic Sciences, Engineering, and Medicine." The entire report is available online here, and the report highlights are available here. We are honored to host Dr. Frazier Benya, Senior Program Officer with the Committee on Women in Science, Engineering, and Medicine (CWSEM) at the National Academies of Sciences, Engineering, and Medicine, and Dr. Elizabeth Hillman, President of Mills College & Study Committee Member, to share a briefing on the report with the UCSF community. Reception to follow.